"Grenzlandring" v. 1.55 for rFactor von Andre F1-Edition. At the beginning of the WWII (June 1939) the German soldiers built a transport road for the "Westwall", the German/Dutch border. The public road from Erkelenz via Beeck, Dorp, Webgerg to Roermond was too small, so it was necessary to built a transport road. The new track was built using concrete due to the heavy trucks and army vehicles it was built for. After the WWII the mayor of Rheydt discovered the transport road as a race track. While driving the road in his car, he overtook a cyclist twice. At that point he realized that this road was an oval - a large oval with a length of 5.597 miles, capable for motor racing. The great time of the F2-races was between 1949 and 1952. The short history of races at the "Grenzlandring" had an abrupt end on 31/08/1952 with a tragedy. Helmut Niedermayer, a race driver from Berlin, had an accident in the "Roermonder Kurve". He drove into a crowd of people; 14 people died and over 40 people were injured. Today the track is in use as local roads surrounding the city of Wegberg as it was originally intended to. Now drive a lap on this track: After start/finish you drive on a long bend, the "Erkelenzer Gerade", to the "Gladbacher Kurve", a sharp left curve through the village Beeck. While in the middle, you cross the main road between Erkelenz and Roermond for the first time. This curve leads to a long straight, the "Rheydter Gerade". At about the middle you climb a few meters to pass a traintrack. Afterwards, the village Dorp welcomes you with a left curve. Top speed of formula one racer exceeds on 200 mph here. Now you cross the main road from Erkelenz to Roermond for the second time. After a short straight you enter the "Roermonder Kurve". This is a very popular area for spectators. Within there you cross the traintrack again, this time above you. After the "Roermonder Kurve" you drive through the county town Wegberg. The last left turn leads to the start/finish line. The five chicanes for the 79' track layout was placed before the "Galdbacher Kurve", before the "Rheydter Gerade" and at the end of the forest, the village Dorp and Wegberg. First at all thanks for Mc Wolf, without him I had not start this project. Basic work on the track from Zwiss. Objects and/or textures from Virtua_LM team, CY-33, Thomas Lächele, Tobbi92, Köngen-Mod Team, Squid, Nikolas, Littleangel/David. Betty Swollux for the basic LOD-Files and everyone else that helped me with advice and assistance. Don't cut the chicanes, you can use the curbs on driving slower speed (80-120 km/h) but faster you car will be to a plane. I'd developed the race track for GP Legends and I expanded visually and technically for rFactor. The download is only permitted on the websites of altbierbude.de and nogripracing.com, should be the path where to download differently, notify me. There are currently no setups for Grenzlandring 1952 and 1979. Add a Setup. y nickname is wizard2275 I want to ask for permission, to convert all your tracks, to F1C old game. There are currently no setups for HunWEL Park. Hi. 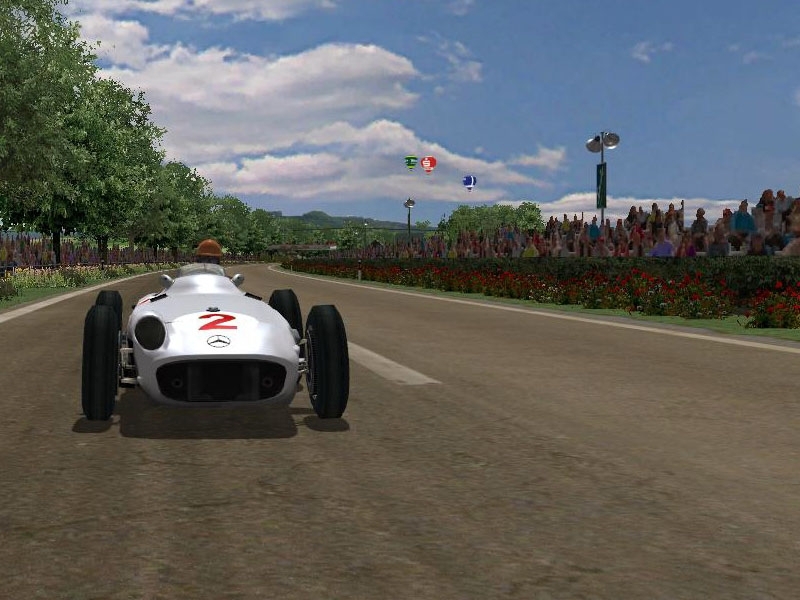 This tracks is not only perfect to drive vintage cars on - it is exemplary good looking! Thanks a lot for this & best regards! Can you please use another site for downloading? I don't want to install iLivid! Thanks. NO WAY. ROERMOND!!!! I live there!! !